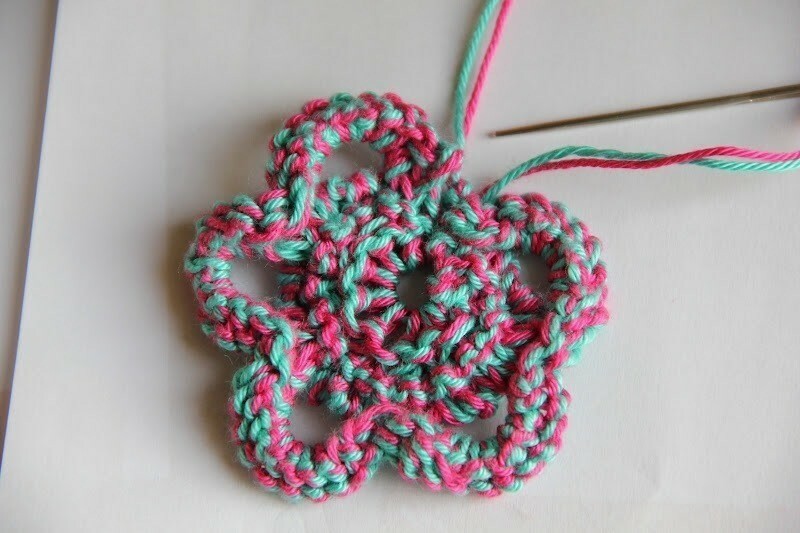 ....even when not scented, a flower makes you smile ! Always! 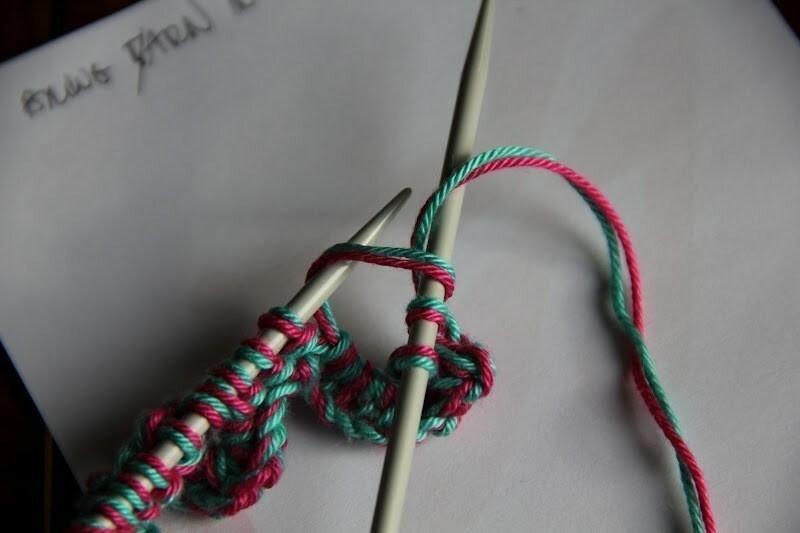 square brackets other 4 times, till the end of the row. You'll have 27 stitches on your needle. 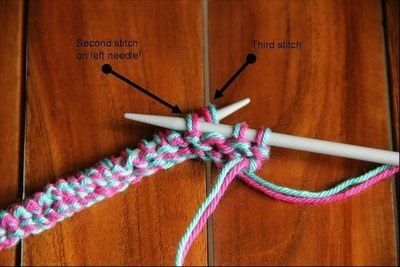 yo, p1 stitch]. 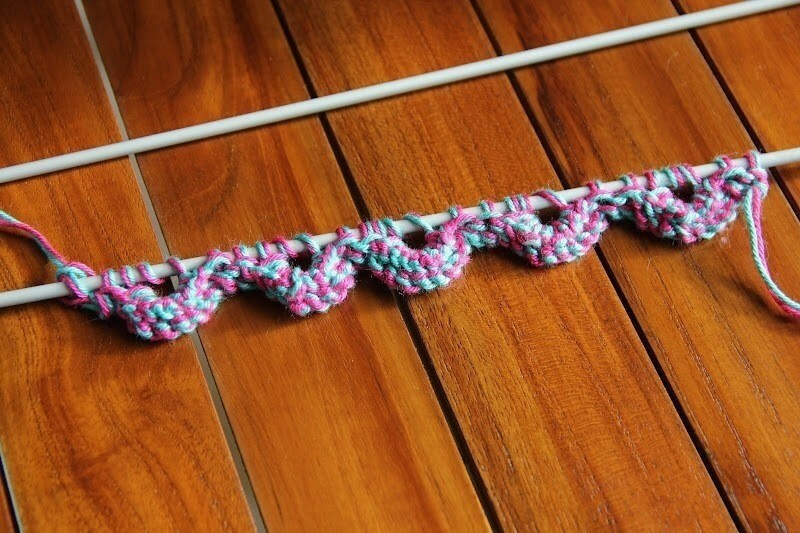 Repeat the pattern in the square brackets other 4 times till last stitch, k1 stitch. 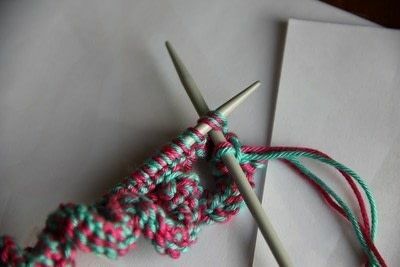 You'll have now on your needle 32 stitches. 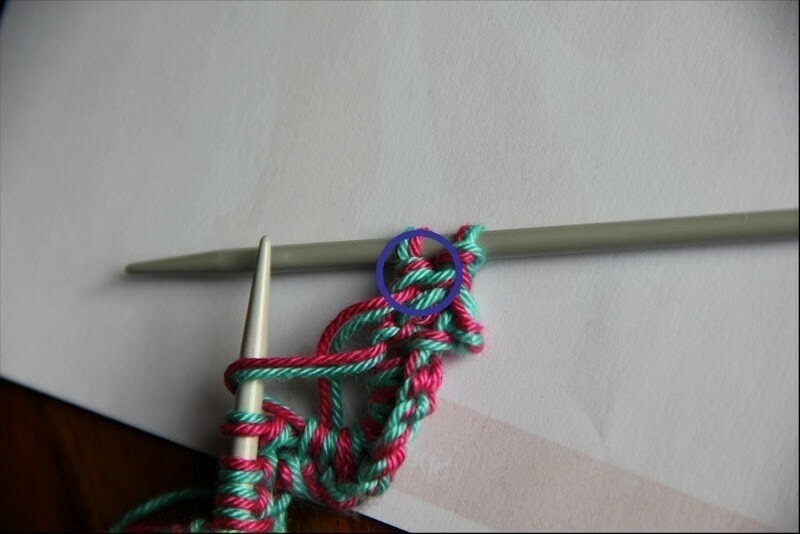 Cut the yarns (more or less 10 cm) and thread them on the tapestry needle. Push the tapestry needle through the 9 stitches still on the knitting needle and pull gently. The flower, in this way, gets its shape!!! 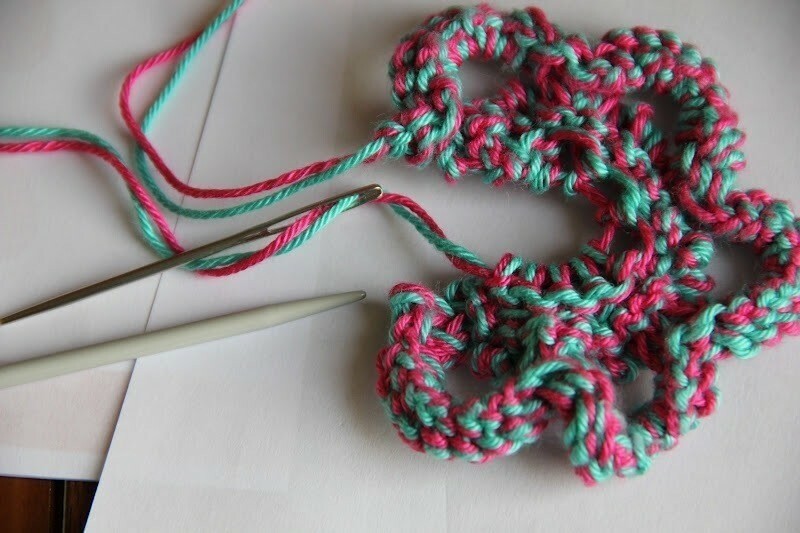 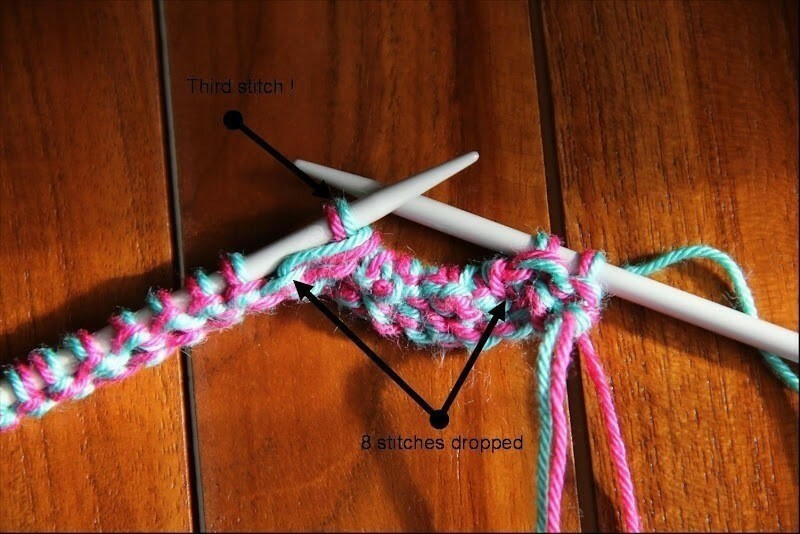 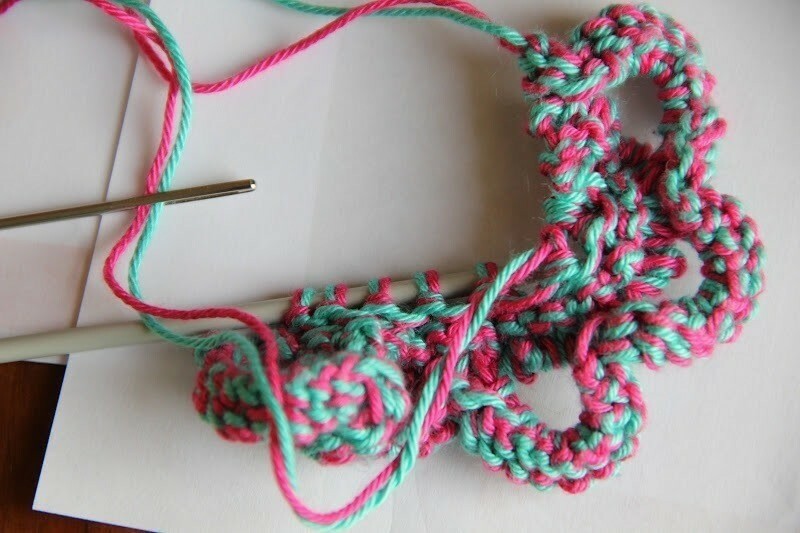 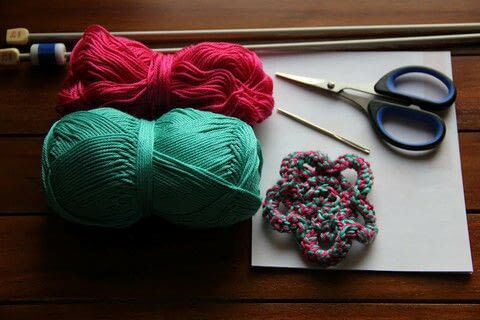 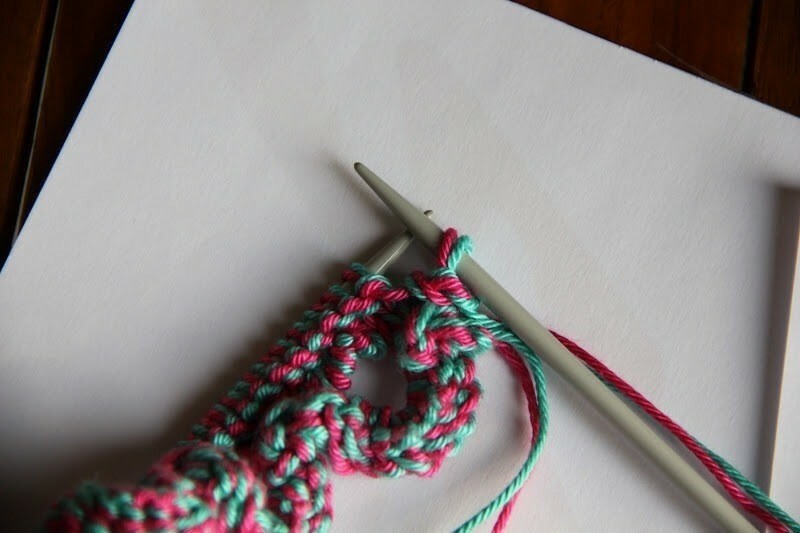 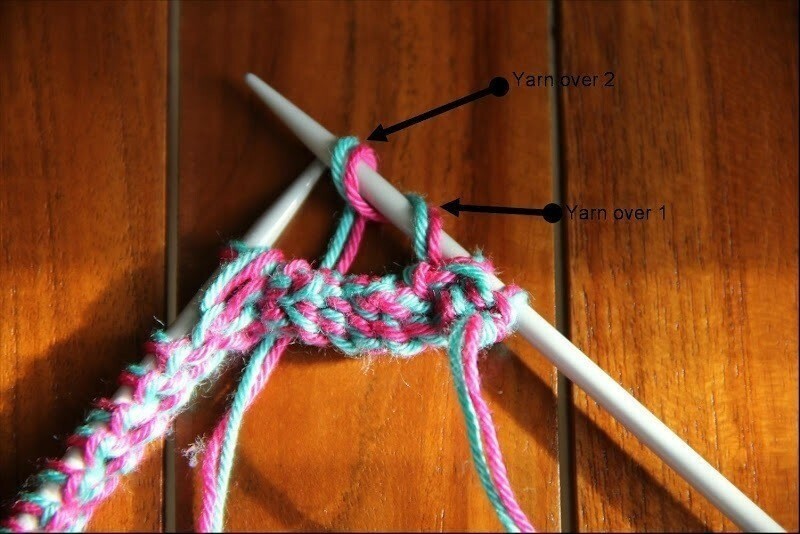 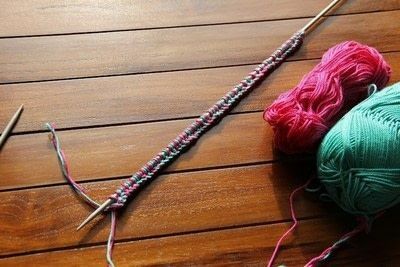 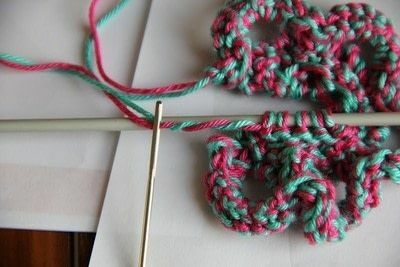 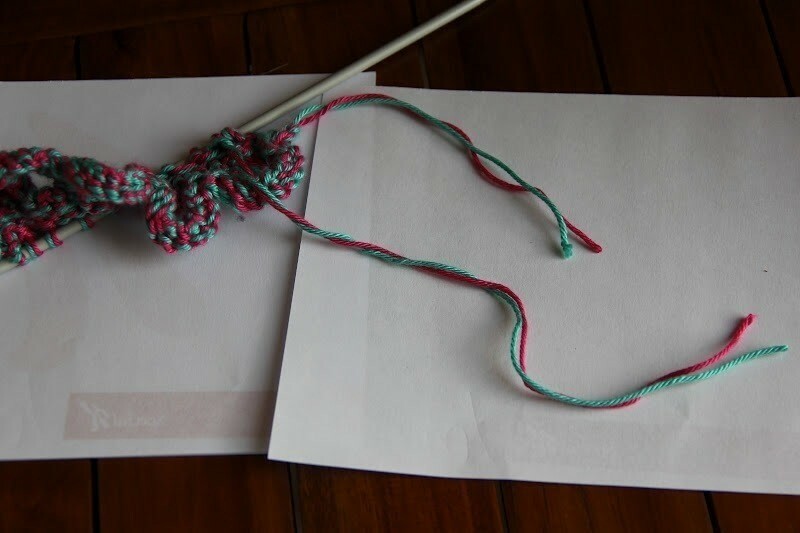 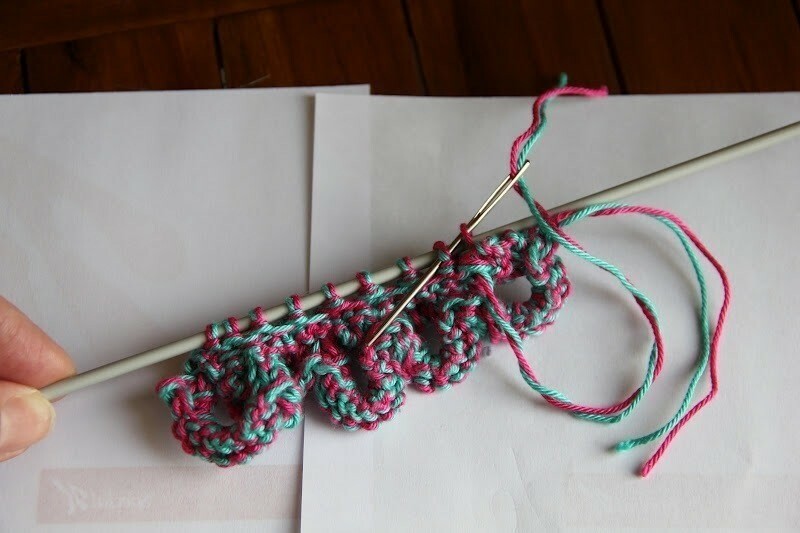 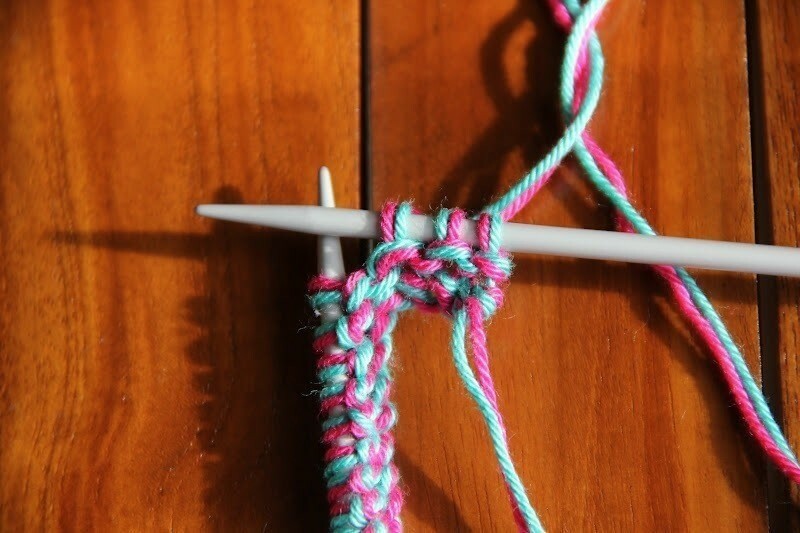 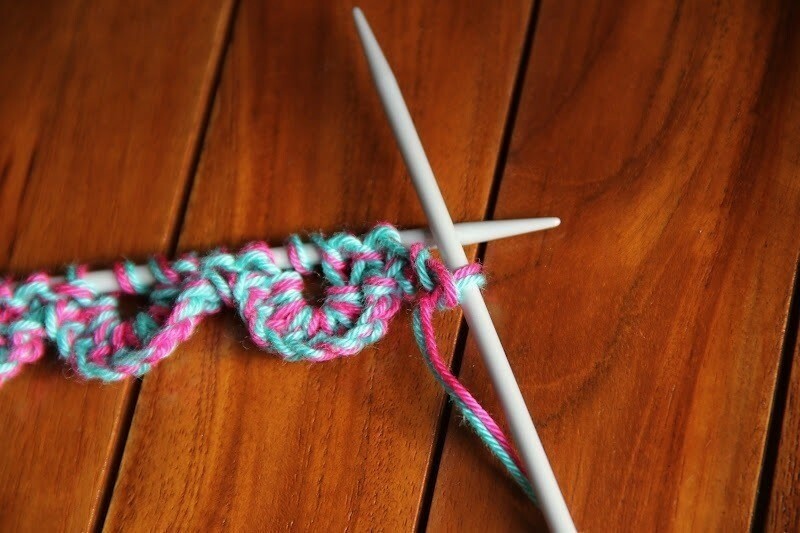 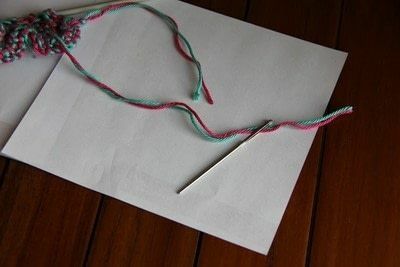 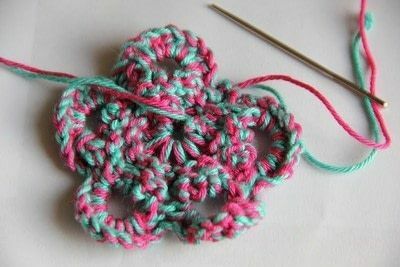 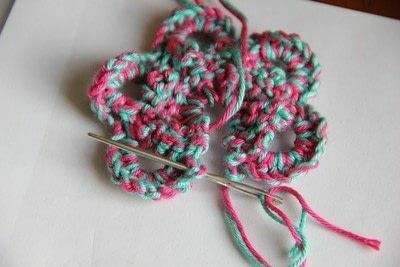 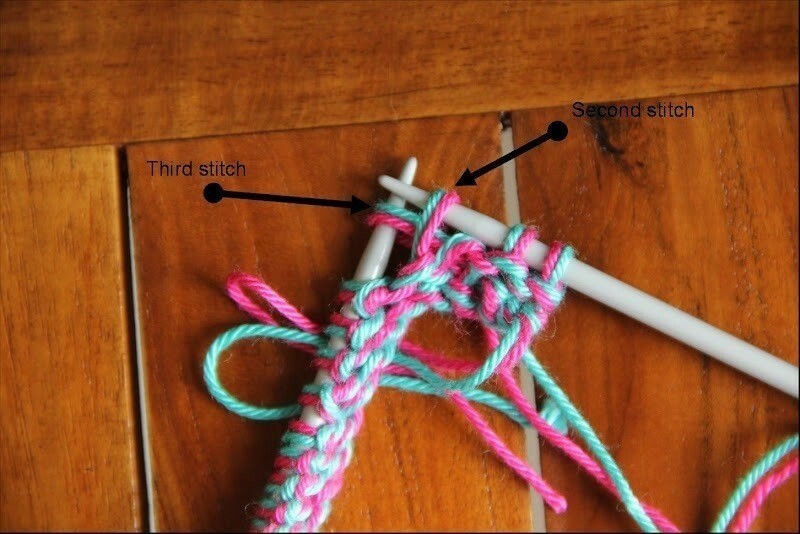 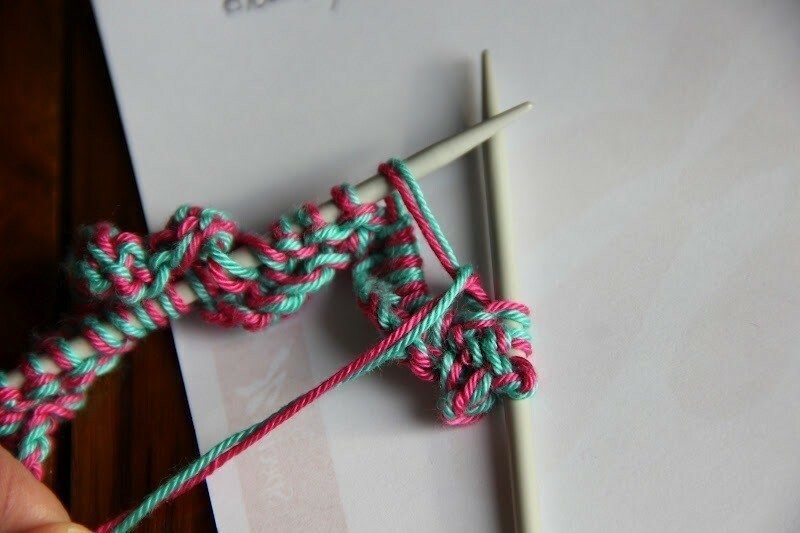 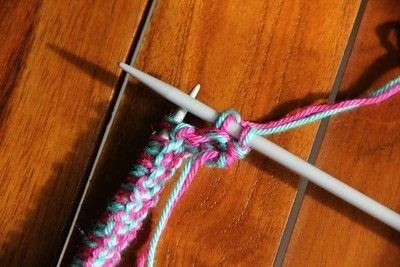 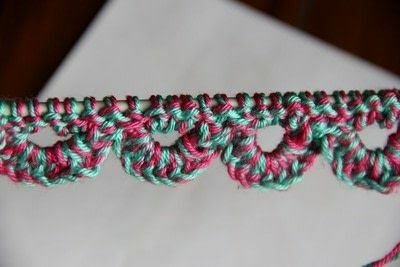 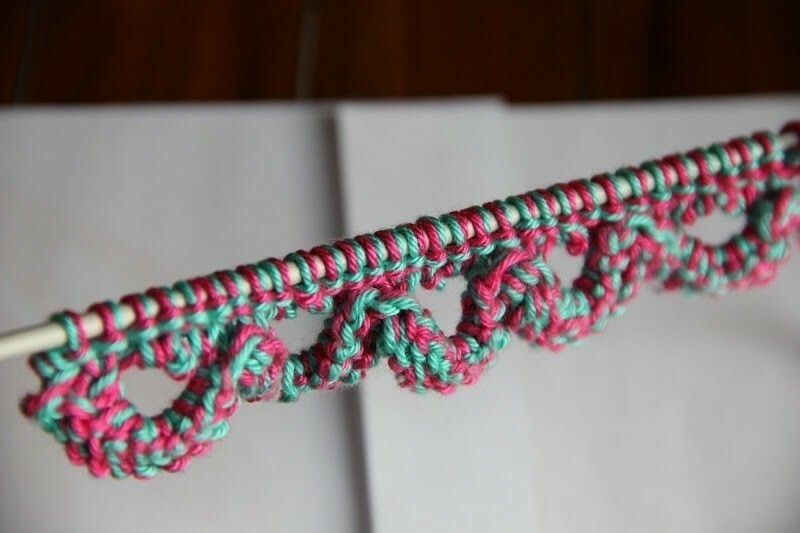 ADVICE FOR THE BEGINNERS : I friendly recommend you to use only one thread of yarn, not two as specified at the beginning, the first time you'll have a go with the above pattern. It's not hard, but challenging, yes (both rows 2 and 3)!!! 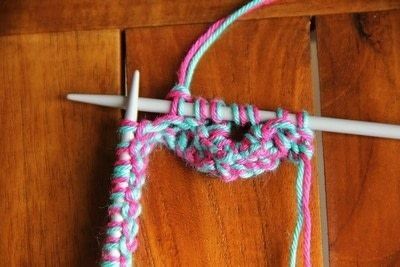 If you'll experiment the "easy way", you'll love this knitting sequence without being disappointed (discouraged?infuriated?exasperated? 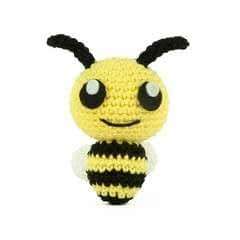 resentful?disheartened?.....!!!!). For the experienced knitters, if you like, you can skip row 1 and start the pattern right from row 2! Cast on 57 stitches (1 slip knot and 56 stitches), using the knit-stitch cast on method. You need to repeat this tricky slip stitch other 7 times, so that it will form a little arch with 8 slipped (and not knitted!) 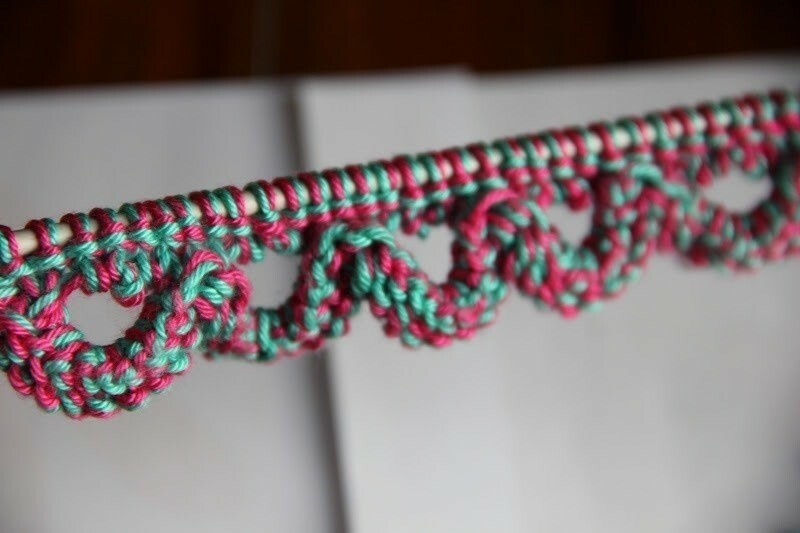 stitches positioned on it! 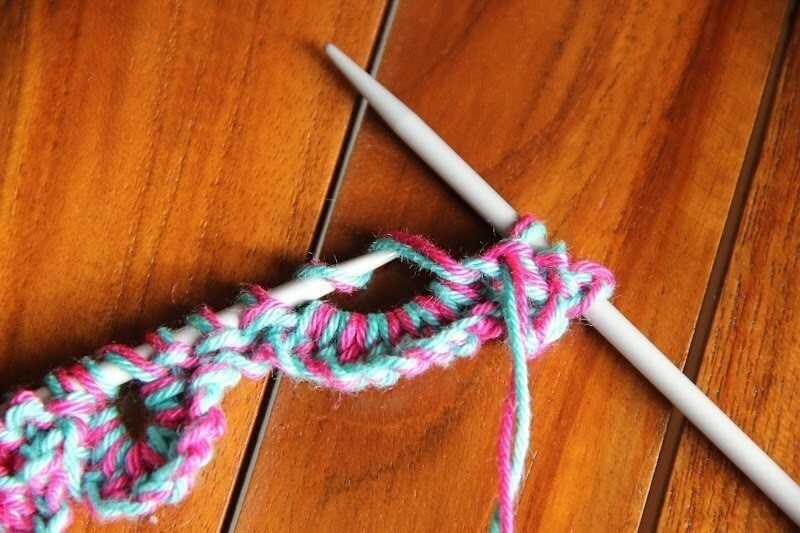 At the end of row 2, you'll find out that on the knitting needle there will be 27 stitches. and p in this same stitch; pass the yarn to the back again and k; pass the yarns in the front and p ! 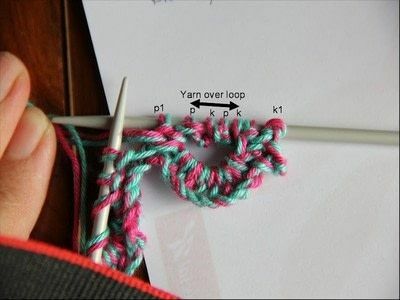 After all that, you can also drop the big loop and p1 stitch. 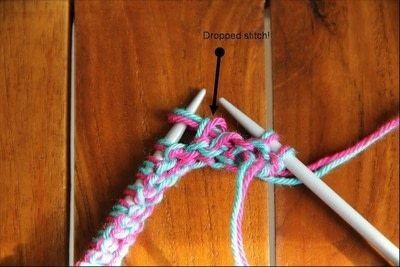 Repeat the above sequence other 4 times. pull the tail and "magically" your flower is there!!! 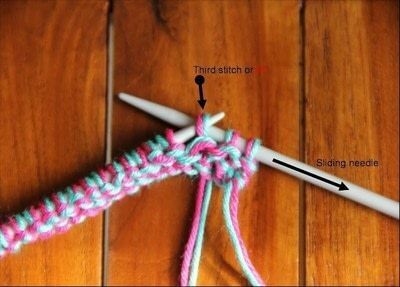 turn your work and ..... 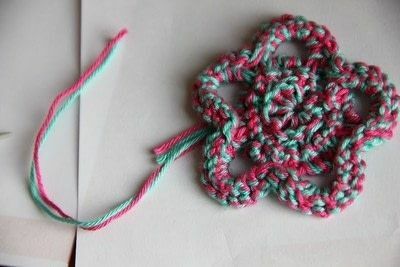 voila'!!! WELL DONE !!! 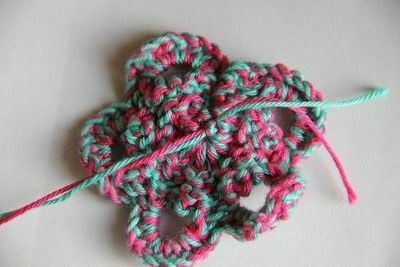 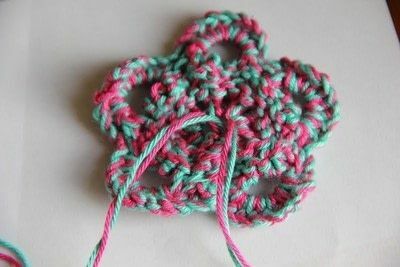 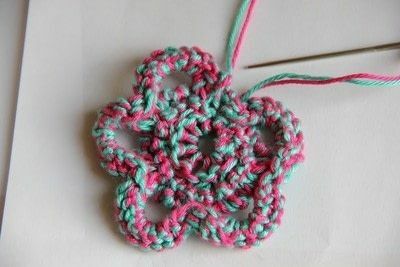 ENJOY YOUR LOVELY KNITTED 5 PETALS FLOWER!!!! !